In the tight labor market, creating efficiencies and saving time is key. What better way than to use technology to do so? 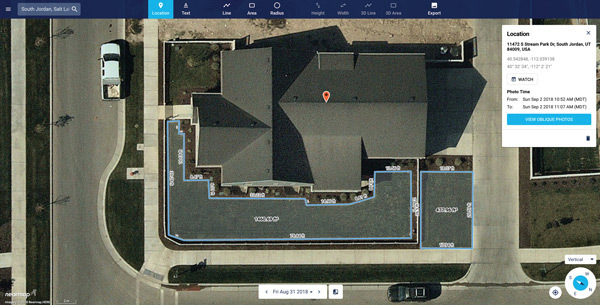 Landscape software has come a long way, and it’s improving all the time. There are numerous options to help improve your designs and better plan your projects. 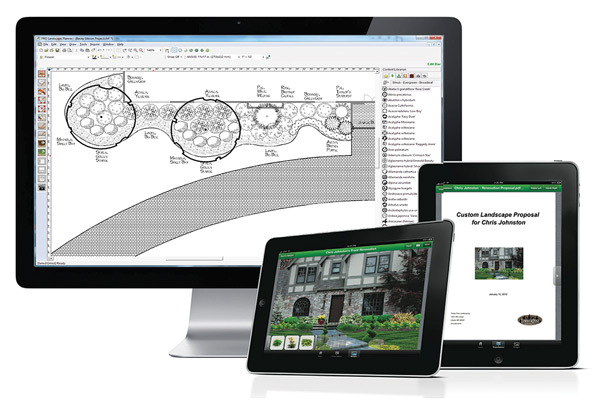 We spoke with a few experts — David Sloan, sales and marketing manager for Drafix/PRO Landscape; Mike St. Louis, director of marketing for Nearmap; Cameron Ashby, systems manager for Elite Grounds; and Jim and Billie Helms, owners of Helms Lawn Specialist — to learn what landscape pros should consider when choosing design software. A functionality that’s easy to use and intuitive is crucial, especially for training crew members of all ages and at different points in their careers. It’s important to identify team members who are eager and willing to learn how to use and implement new software properly. “Before choosing (software), make sure to consider the skill level of those using the software and how they might approach technology,” Sloan says. “If a landscaping company has to hire a specialist just to use software, it adds to the bottom line,” St. Louis adds. St. Louis also says having an accurate base map is a good start to any design project. Keeping in mind the type of projects being designed will make it easier to determine how a software might integrate into current company processes. “Different pieces of software have different capabilities, so it’s important to choose the software that is right for a company’s exact situation,” Sloan says. Ashby says Elite Grounds’ local service area is growing with new homes and businesses, so designing installation projects has become easier with historical images and seeing the property as a blank slate before structures are built.